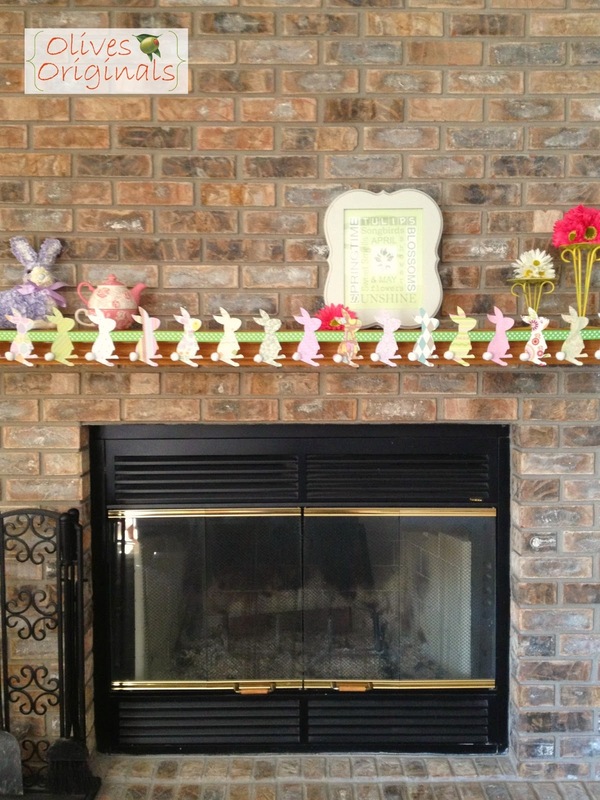 After finishing my Bunny Bunting, I realized just how naked the rest of my mantel looked. I knew I had to do something to make it look finished, but I didn't want to spend a ton of money. 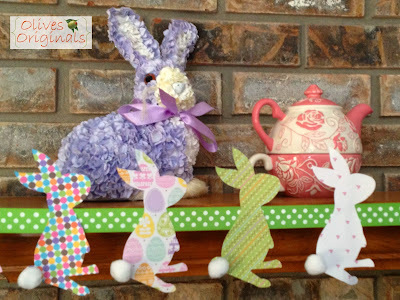 The bunny bunting didn't cost me a penny. I had everything I needed to make it on hand already. Score! 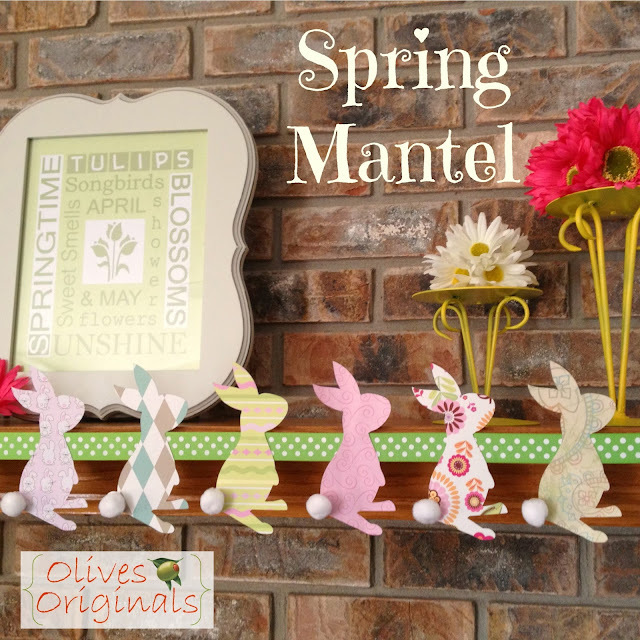 So I scoured my craft room for other bits and bobs that I could use to complete my Spring mantel. I found a really cute Spring Subway Art printable that you can customize by Janet over at Today's Fabulous Finds. I chose Olive and printed it out, but I needed a frame to put it in. 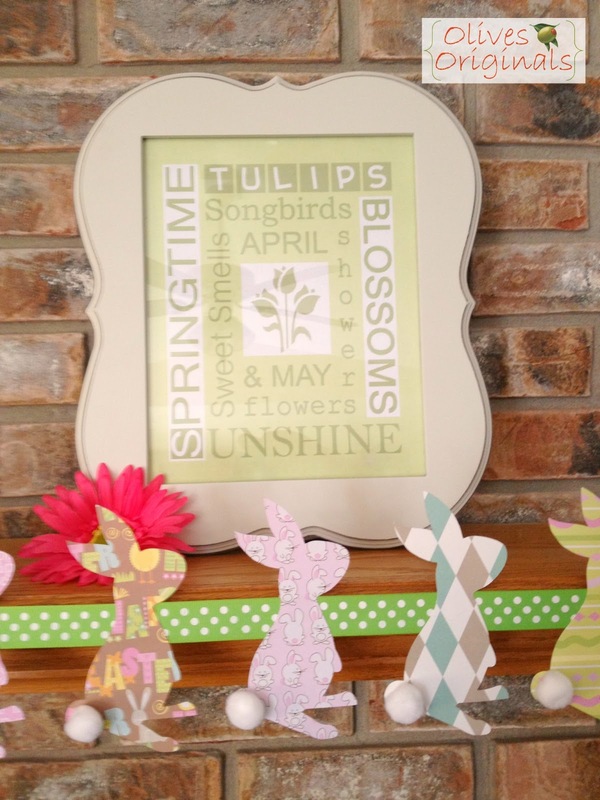 I found one I really liked over at Hobby Lobby. It wasn't on sale, but I had a 40% off coupon, so it cost me $11. This is the only thing I purchased for this mantel. In one of my random craft supply boxes, I found some fake flowers leftover from last year. The pink ones were from Little O's first birthday portraits and the white ones I used on a gift basket for a friend's birthday. I also found small Styrofoam balls from way back when I was in grad school. They've been in that box for five or six years. Time to use them up! I stuck the flowers around the Styrofoam ball to make two pretty pompanders. I used hot glue on a few of the flowers that wouldn't stay put. Then I placed them onto two candle holders I found in my basement. They used to be black, but I spray painted them with some yellow spray paint I had. 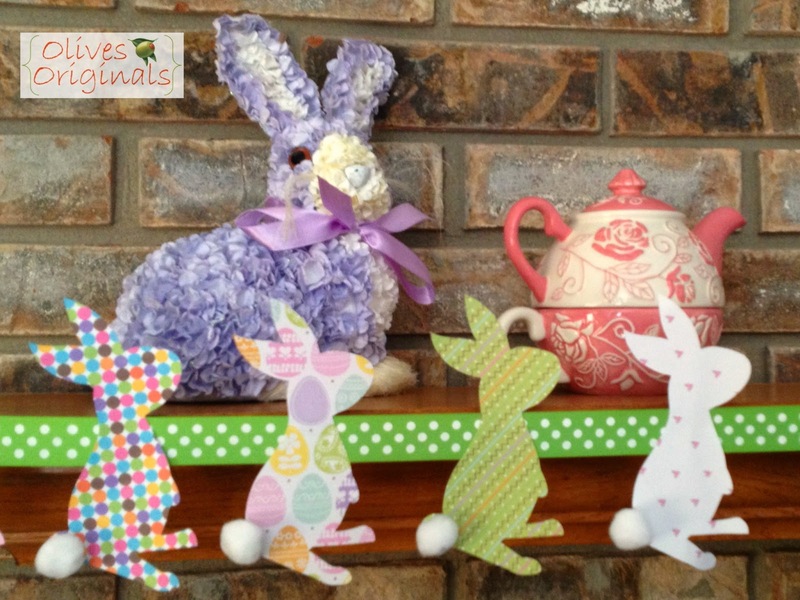 The other two things on the mantel are a purple floral bunny my mother-in-law bought for us last Easter and a pink and white tea set I usually keep in my craft room. And here is the finished product. 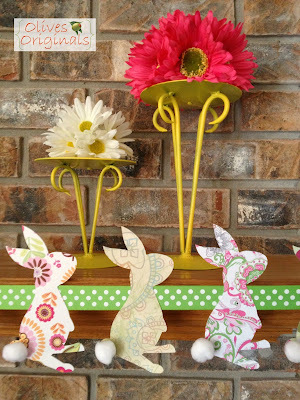 I'll post a little bit more about the Bunny Bunting on Monday, so check back! Hi Sara, Sorry about that! The post will be up on Monday. I hope you check back then. Lovely mantel! :) Thanks for sharing!